September 2, 2007, marks the 25th anniversary of the repose of Hieromonk Seraphim (Rose) of blessed memory, as the website of the Western American Diocese reports. Thanks to the widely-disseminated translations of the theological works and apologetics of Fr Seraphim, he has become an instructor of the Faith and of piety to many Orthodox Christians. 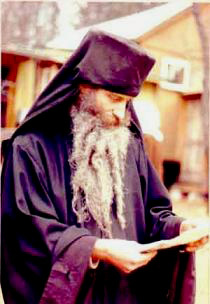 The theological legacy of Fr Seraphim is marked by a strict and flawless devotion to the Traditions of the Holy Fathers. Fr Seraphim's missionary experience is particularly noteworthy. St Herman's Monastery in Platina (Serbian Orthodox Church) will celebrate the 25th anniversary of Fr Seraphim's death. On Sunday, September 2, beginning at 2 pm, a series of lectures on Fr Seraphim will be read, and on Monday, September 3, a hierarchical Divine Liturgy will commence at 10 am, followed by a pannikhida over the grave of the hieromonk and a trapeza.